The Cherokee County Grand Jury recently handed down a one-count indictment for a former Creekview High School drama teacher who was arrested for allegedly having a four-month-long consensual relationship with an underage student. 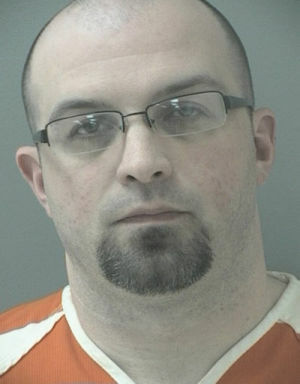 Matthew Tamanini, 31, of Canton, was indicted on one count of sexual assault against a person in custody. He was charged with two counts of sexual assault Jan. 16 after investigators with the Cherokee County Sheriff’s Office learned about his alleged relationship with a 16-year-old student. Police said the relationship between Tamanini and the student started four months prior to it being reported to school officials on Jan. 15. Once the allegations were brought to light, Cherokee County School District police were notified and were instructed to conduct an internal investigation. The sheriff’s office began its criminal investigation on Jan. 16 — the same day Tamanini had been reassigned to a non-school worksite, where he was taken into custody. Tamanini began his career with the Cherokee County School District in 2007 and resigned from his position Feb. 7, according to a Cherokee County Board of Education meeting agenda. He listed “personal” as his reason for resigning. The Grand Jury also charged a 32-year-old Canton man with trafficking illegal drugs after he was allegedly caught possessing heroin, a Schedule I substance, this past fall. Cherokee County narcotic agents arrested Joshua Dean Oct. 10 during a traffic stop on Juniper Street; he was charged with trafficking after 10 grams of heroin were located inside the vehicle. At the time of Dean’s arrest, Cherokee Multi-Agency Narcotic Squad Commander Phil Price said anything over four grams of heroin is trafficking weight. Unlike a buy-bust last summer that yielded several grams of heroin, Dean was not arrested during a staged buy. He was pulled over on Oct. 10 for reportedly not wearing a seat belt while operating his vehicle. Police reported that Dean and a female passenger appeared under the influence and asked for consent to search the vehicle. Inside the vehicle, police said they located a small black container with numerous syringes, a glass pipe and a spoon.